One of my most favorite foods in the world is Smoked Salmon...aka Lox. When I need to indulge, instead of going for the bag of potato chips or a container of ice cream, I actually CRAVE a bagel, lox & cream cheese. It's tradition in my office for your "team" to get you sweets to share in the office. Generally it's cupcakes or a cake, but for my birthday this year, my team got me a platter of bagels, lox & cream cheese...in ADDITION TO cupcakes. I mean, how awesome is that?! While the cupcakes we had later in the day were tasty, this was by far the best surprise. Recently my team went out for a successful show celebratory lunch to an awesome place called The Waffle. 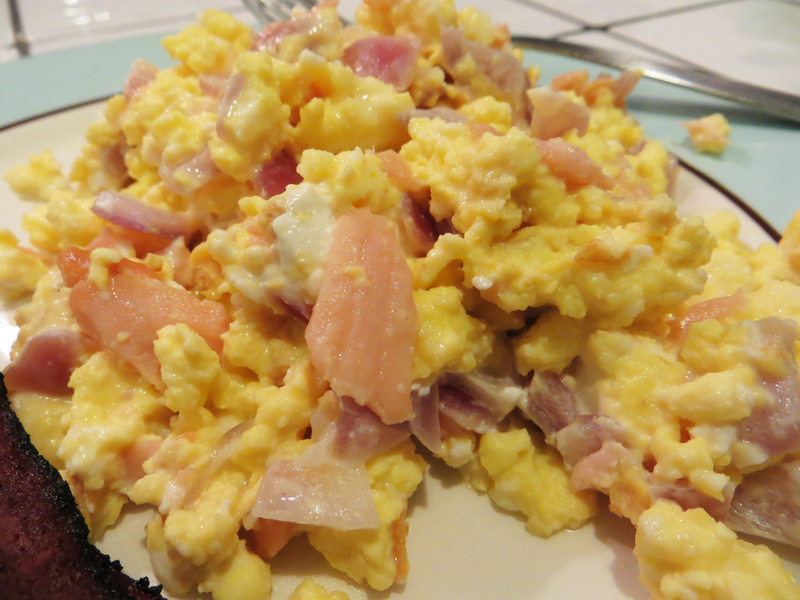 I surprisingly decided not to get a waffle when I saw this egg scramble with lox, cream cheese, onion & capers. 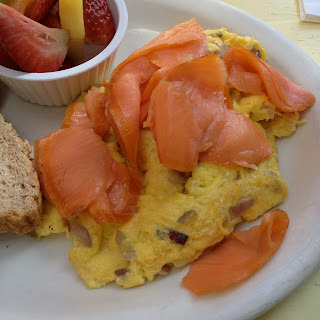 I prefer my lox w/o capers because they kind of gross me out. This scramble was right up my alley & tasted amazing. I knew this was a recipe I would actually be able to duplicate at home & it wouldn't be complicated! I was a little suspicious of adding in cream cheese to my eggs, but it actually tasted really smooth & creamy. I am happy to say I WAS able to successfully recreate it in all it's deliciousness. It was SO easy & didn't take long at ALL. We ended up having this for dinner & J absolutely LOVED it & said this might be his favorite breakfast I've made so far. I will definitely be making this many more times...possibly again tonight! 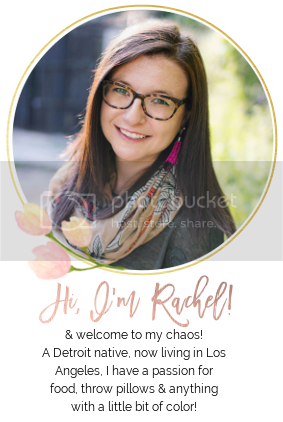 How difficult was this for Rachel? Easy! In a large skillet over medium heat, add eggs. 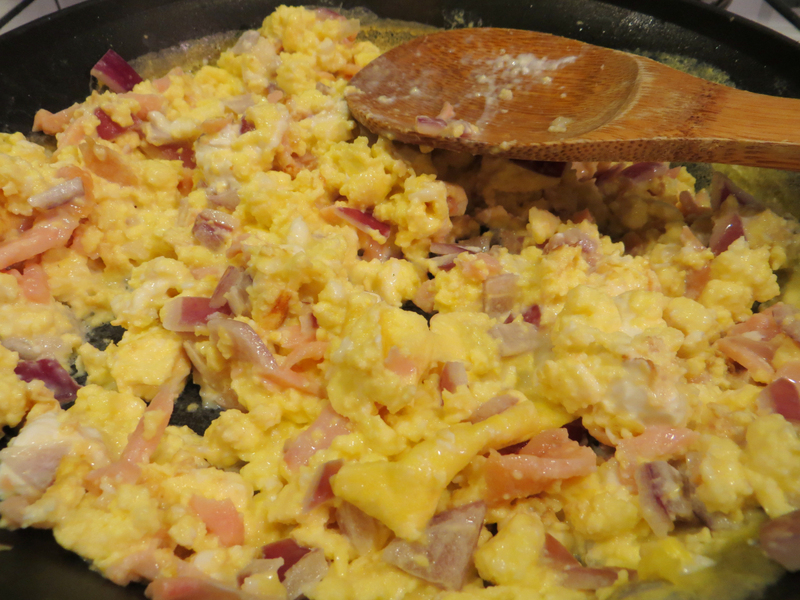 Scramble until they are just a tad bit runny. Aprox 5-7 mins. Mix thoroughly. Eggs will be a bit runny due to the onion, so might have to cook a bit longer than usual. Add in cream cheese right before eggs are done. Let cheese melt a bit and then mix in thoroughly. That's it! Serve when eggs are cooked to your liking.